Very cute, girly, lightweight bangle bracelet. 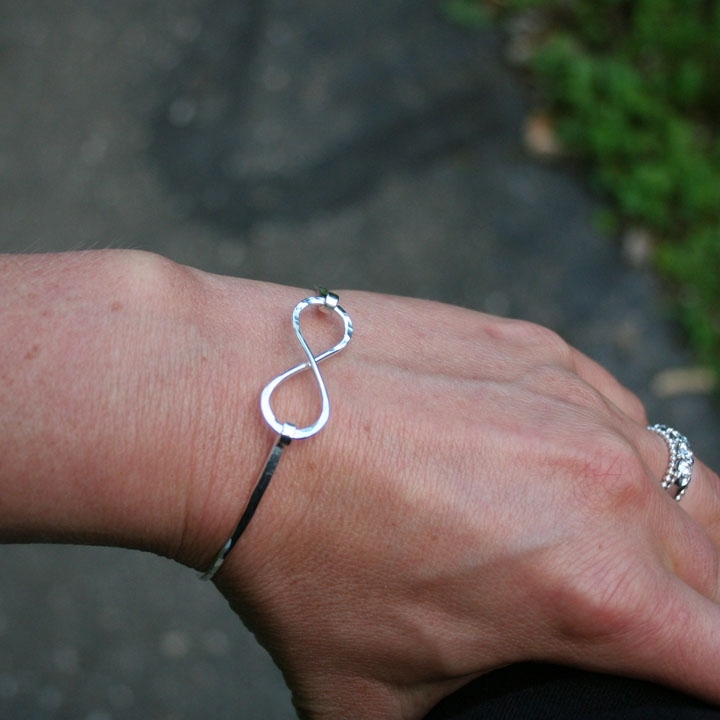 Handmade figure “8” – infinity symbol. 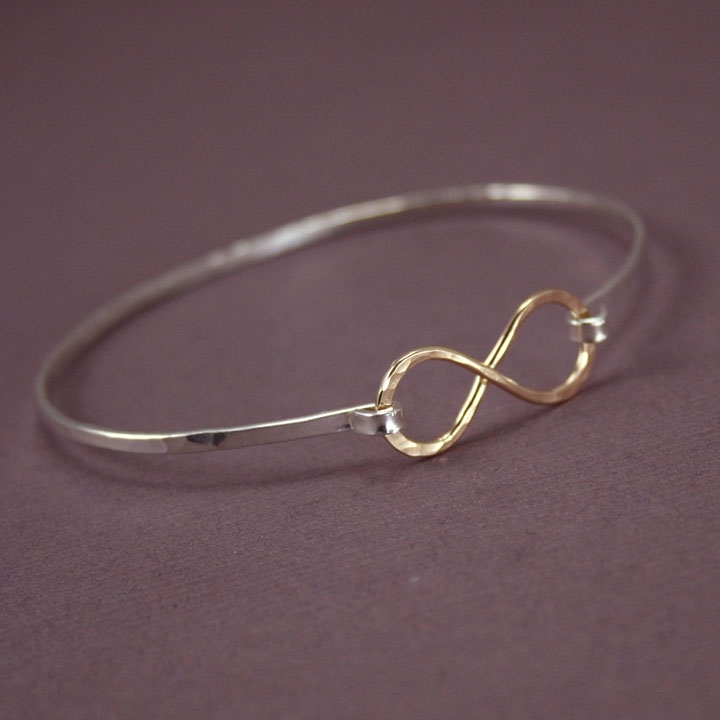 I hammered it and polished to a shiny finish. 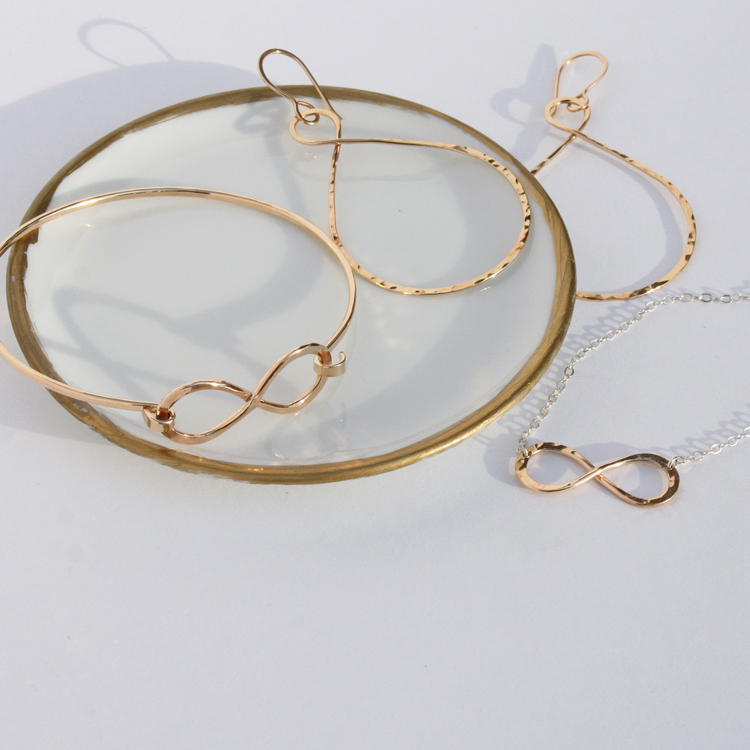 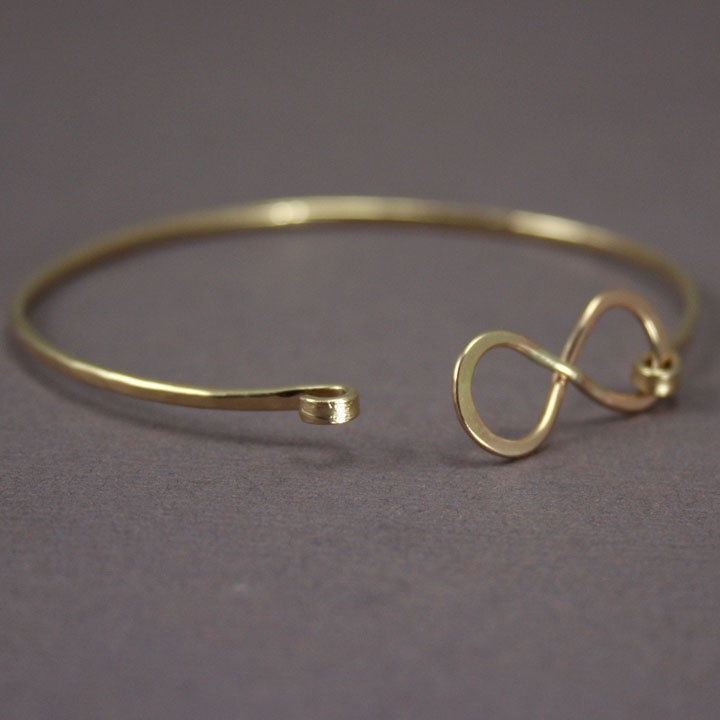 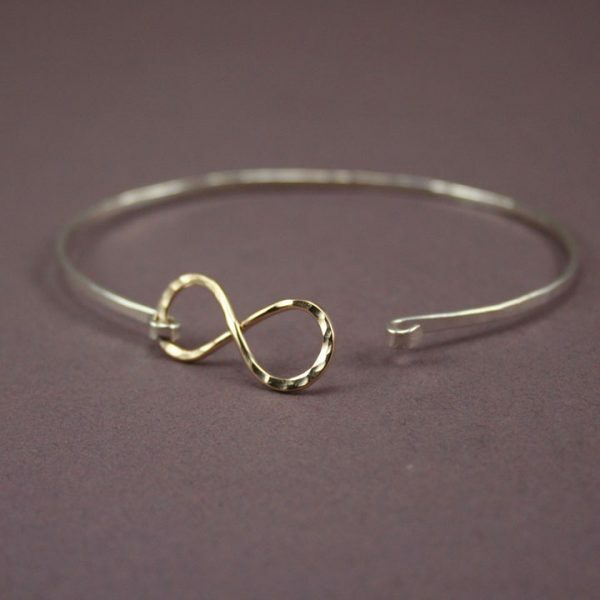 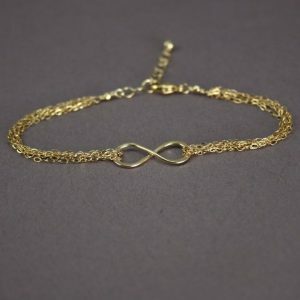 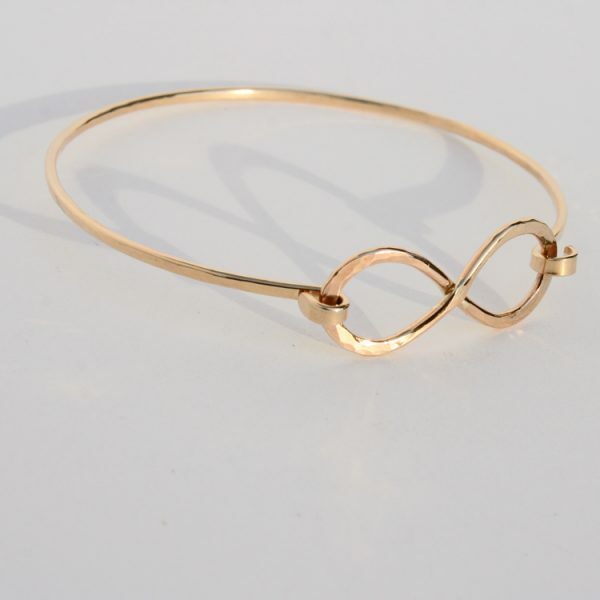 The center piece – the infinity symbol works as a clasp so it is very easy to put the bangle on and take it off. 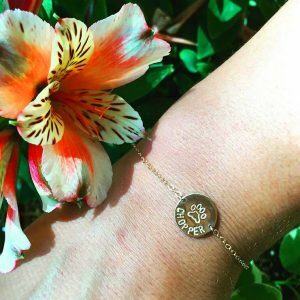 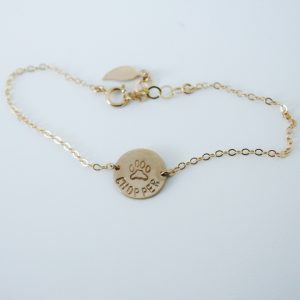 Great for a friendship, love gift or just for yourself to wear it everyday. 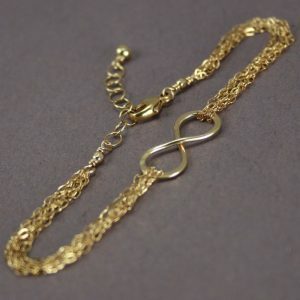 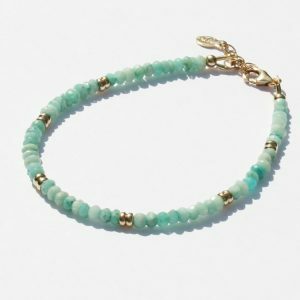 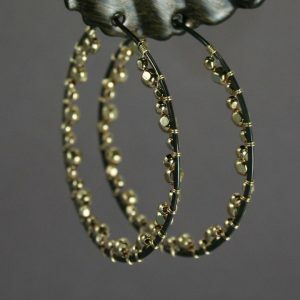 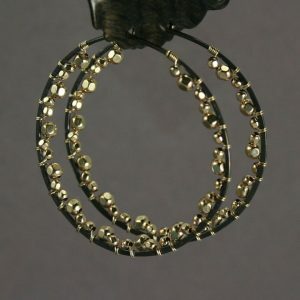 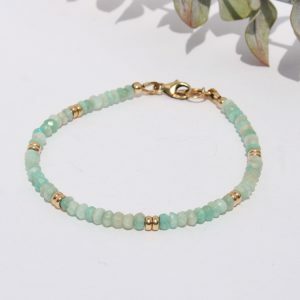 It will match all your silver or gold jewelry since it is two tone bracelet.